Even good quality knives need sharpening regularly. As handling a sharpening steel takes a certain amount of skill, knife sharpeners are a good alternative for inexperienced users.  WMF knife sharpeners are state of the art. They feature guides that prevent the blade from slipping while sharpening as well as two ceramic discs – with incremental adjustment on some models – for precision sharpening, The sturdy design of the WMF knife sharpeners and a non-slip coating on the underside ensure a high level of safety. WMF knife sharpeners are available in a range of designs offering various functional features to suit varying tastes.